Avians are an ancient, spiritually evolved race. They have been roaming the Galaxy for eons. Billions of years even, they claim. It is rumored that their ancestors were the mysterious “ancient builder race” who left technological relics of great power behind. 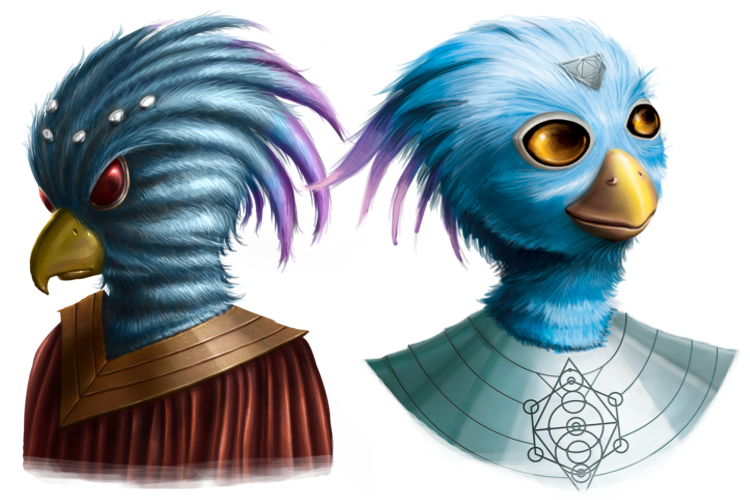 Avians start with an additional level each in the Spirituality and Propulsion technologies. This allows you to more easily explore and acquire the stars you want early on. Since there is no special ability to remember they are a popular choice for beginners.